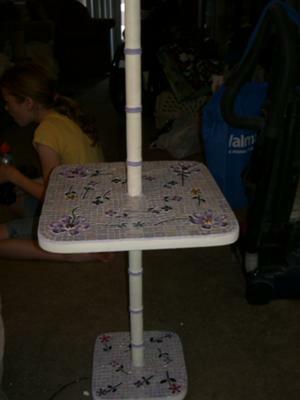 My mother found this table several years ago at Goodwill. It has taken me about 4 years working on and off to mosaic it. I finally did it and gave it to her for Mother's Day.